A highway expansion project needed accurate 3-D coordinates of a natural gas pipeline to ensure safety to construction workers and local residents. 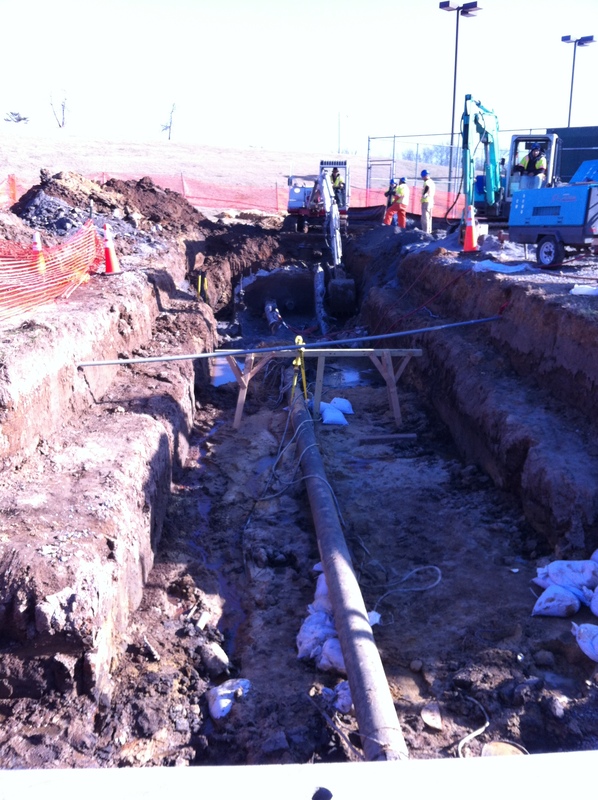 Geospatial's Smart Probe technologies provided accurate 3-D location of pipeline exceeding 21' depths. Due to a highway expansion project in a densely-populated, metropolitan area, Geospatial was called to accurately map 3300’ of a 24” diameter natural gas pipeline. Precise, 3-D mapping of the pipeline was essential to the completion of the highway to keep workers and residents safe and by significantly diminishing the risk of damaging this active line during the construction and excavation required for this expansion project. Additionally, since the pipeline was serving a large population base, Geospatial was required to do a rapid-deployment for minimal downtime or the project. The gas line was temporarily taken out of service and spliced in two places to enable Geospatial mapping specialists to utilize their Smart Probe Inline Mapping Device. This enabled the mapping of this 3300’ section to be done in proximity to a heavily trafficked series of highways at depths exceeding 21 feet (a depth that would have been impossible to map with other known technologies). Geospatial performed this mapping assignment in ONLY ONE day. -Expertise in rapid-deployment for time-sensitive projects. -Acquiring accurate data and providing a safe environment for construction workers and residents. -Accurate 3-D mapping (including excessive depths) of natural gas pipelines.